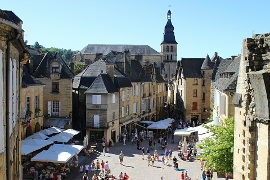 Salignac-Eyvigues is a small town about 17km north-east of Sarlat. 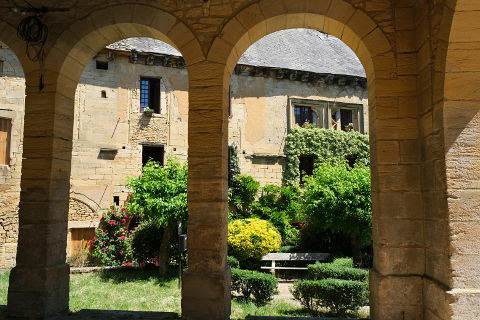 It is home to the fabulous gardens of the Manoir of Eyrignac. 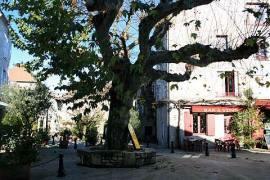 The main square at the centre of Salignac Eyvigues is pleasant enough but not especially inspiring but walk down to the Place de la Halle and there is a lovely small stone hall and next to it a huge gothic building. 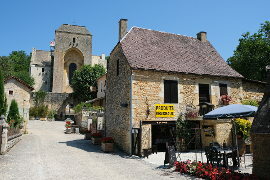 The halle is stone with large stone arches which is unusual as most village halls in the area are made of wood. 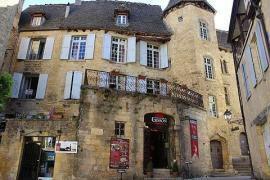 The large gothic house is the 'hotel noble des croisiers' also known as the 'palais de Salignac. 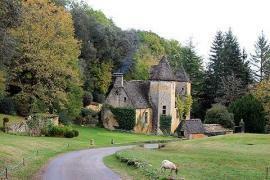 It was built in the 13th century and modified in the 14th century when windows were added to let in more light. 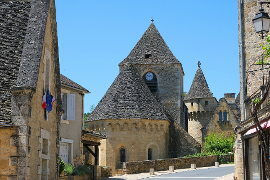 It has a lauze (stone) roof which apparently weighs an incredible 1 tonne per square meter. These stone roofs were once very common in the area but are now becoming quite rare - partly due to their incredible weight. Take a look inside the church at Salignac where the 'stations of the cross' have been made by Marcel Deviers a popular local artist born in the Perigord area in 1914. 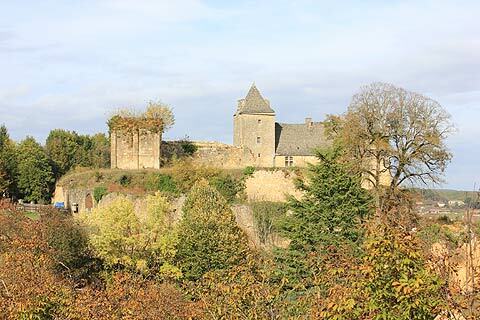 Above the town is the chateau which cannot be visited but you can walk up to it to get a closer view of its lauze roof, its dungeon and the square and round towers that flank the main building. 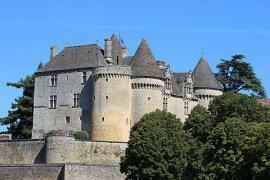 You probably get the best view of the castle if you approach it from the north side. 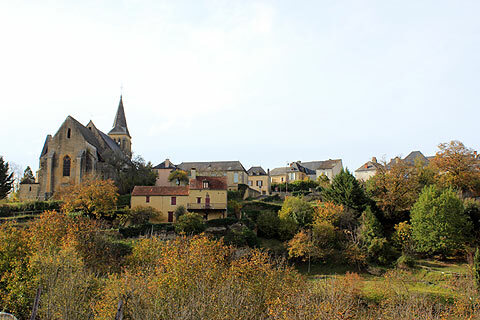 From the centre of Salignac there is a pleasant walk leading to the centre of the village of Eyviques where there is an attractive church and a 16th century manor house. 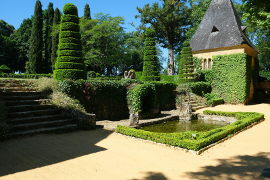 The main sight near to Salignac Eyvigues are the wonderful gardens at the 'Manoir d'Eyrignac'. These are very much in the french formal garden style and consist mostly of wonderfully shaped hedges and long grass pathways in between them. There are few flowers but the detail of the hedges and the shapes and sizes of the topiaries is amazing. I don't think I have ever been anywhere where the colour green is quite so bright and rich and full of shades and textures. Certainly not your ordinary garden!